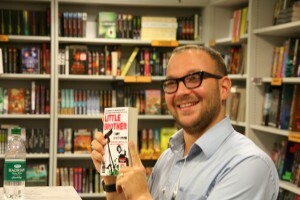 I popped along to Forbidden Planet today to a book signing by Cory Doctorow, his first in the UK according to the announcer in the shop. 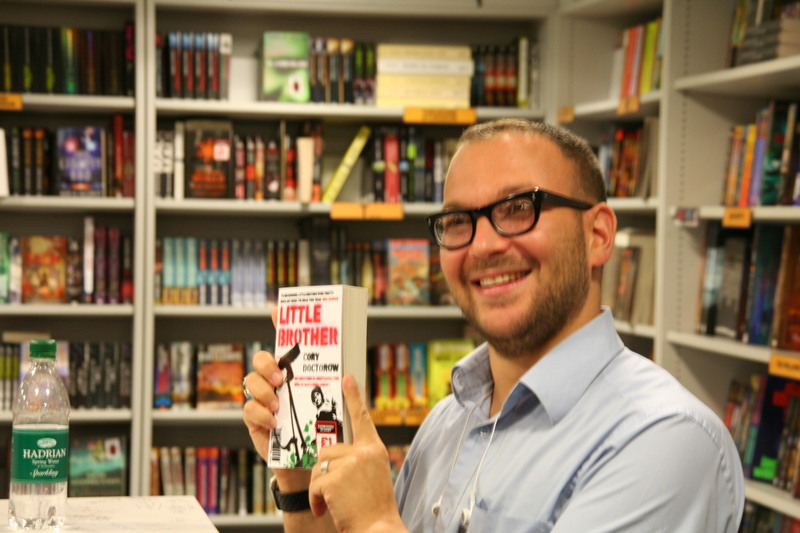 It was to buy a copy of Little Brother, a book I’d already read via the free pdf download he provided on the release of hte book in the US, but I enjoyed it so much it was one i had to buy. Thanks to Danie for promoting the signig so I knew about it. This entry was posted in books, events by Rachel. Bookmark the permalink. Glad you came down – we were delighted to have Cory in signing for us and it good to see Twitter-marketing at work!